Bellingham Castle, Castlebellingham, Co. Louth. It is now the middle of January 2019 and about time I got moving and checking out some new properties. The last of the half opened chocolates left over from Christmas have been demolished along with the remains of the Christmas cake. At least by visiting a nice hotel I might be in line for some new treats that might be less damaging to my waistline. 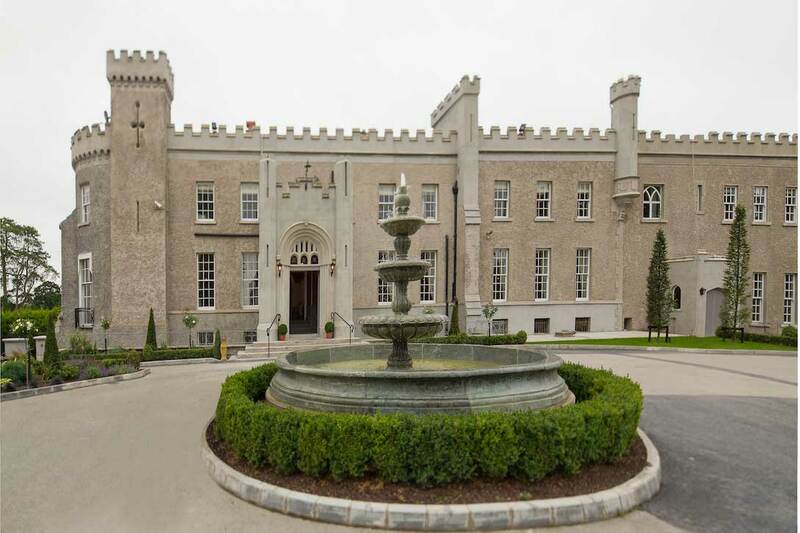 Some months ago I was in contact with Howard Corscadden who, along with his siblings, owns and manages several excellent castle hotels in Ireland. They are a family that grew up in the hospitality industry, Howard being the third generation. Third generation families in the industry are as rare as hen’s teeth. The Corscaddens saw a gap for the castle wedding sector and have focused on this market. With their background and experience my expectations were therefore very high for my first visit to Bellingham Castle. Bellingham Castle in Co. Louth is located not too far off the M1 and close to the eastern coast of Ireland, a coastline often overlooked by its big sister, the Atlantic ocean on the west. The original castle dates back to the 17th century and despite a rather chequered history remained in the Bellingham family until the 1950’s. 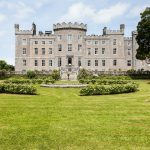 The Corscadden family bought it in 2012 and have invested substantial funds in its restoration; the resulting success meaning that not only is the Castle paying its own way but the nearby village of Castlebellingham too has enjoyed a revival. The Bedrooms: There are 19 bedrooms in the Castle and in keeping with this style of property the rooms have names which relate to its history. I always like this because it displays a synergy between the place and its guests and often opens up interesting topics of conversation. My bedroom,The Lady Constantine, overlooked the River Glyde. As there is a preservation order on the building I was pleased to note that the original panes of glass in the windows were still intact. I am a huge fan of these slightly wrinkled panes. However, having lived for a number of years in an old house I recall the rattling windows when it was windy. Why did I never have the bright idea that they have in Bellingham; little door stoppers at the sides of the windows so no rattles. Almost all the bedrooms are located on the first floor so guests can be assured of a quiet night’s sleep. I did take a peak at some other bedrooms and they were all furnished to a very high standard. I was also very pleased to note that they had brand toiletries which adds a touch of luxury. The first wedding celebrated in Bellingham Castle was in 1904 when Augusta Bellingham married the Marquis of Bute. There is an article from a New Zealand newspaper of the time that gives chapter and verse about the wedding including minute details such as what the Bride wore and what bands played at the wedding. Over a century later the Castle still has tons of gravitas and includes all the modern facilities a current Bride would demand. It has a reputation as one of the country’s top wedding venues. This is its main market but the property also acts as a Country House Hotel for individual guests, an example being some American knitters who were so taken by the Castle that their ‘knitting products took a back seat’ according to Patrick Corscadden. 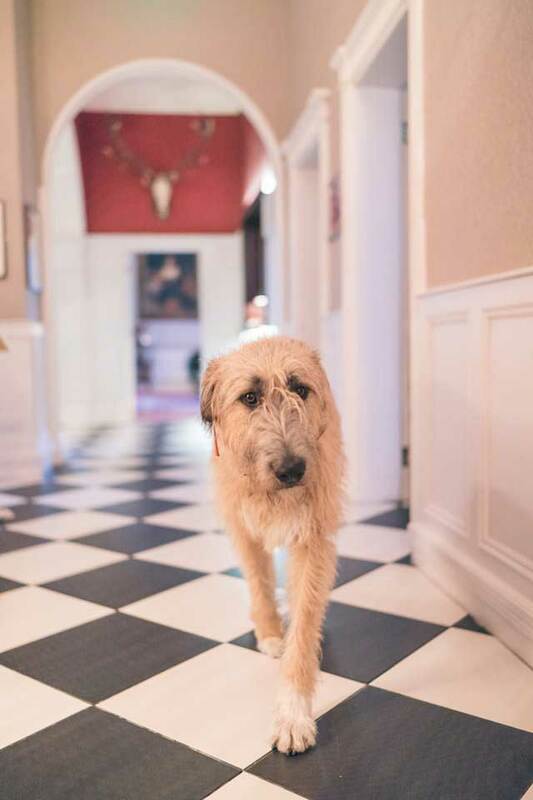 On arrival I caught a glimpse of the resident wolfhound – Rí – who appeared to be on a mission as he ambled across the car park with what looked like an over sized toy/bone in his jaw. When I met him later on I did enquire what he was up to but he wasn’t giving anything away. Wedding guests love him as he is very relaxed with all the fuss; this gentle giant is a major hit with the children who adore him. Photos of ‘The Big Day’ are a must and you will be spoilt for choice at Bellingham Castle. 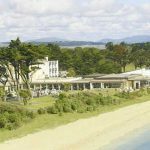 There is the weir on the river with a quaint little bridge and willow tree; or you could drive 5 minutes away to an stunning beach at nearby Annagassan with the backdrop of the Cooley Mountains across the bay. Whilst it was a quiet night with no Bride or Groom in sight I could immediately see the attraction of this establishment for one’s special day. The castle has lots of interesting nooks and crannies. It is clear that the building and grounds were laid out with considerable thought put into its orientation; obviously built with deep pockets. The layout of the Castle makes it a delightful wedding venue with the main entrance being slightly above ground level and the function spaces just slightly below at basement level with plenty of light. This area includes a bar; buttery and main ballroom. Personally speaking I am not a fan of the bolero chair covers with their fancy bows so heaved a sigh of relief when I saw that that they had the chiviari chairs, these being made with aluminium which were both elegant as well as being secure and comfortable! 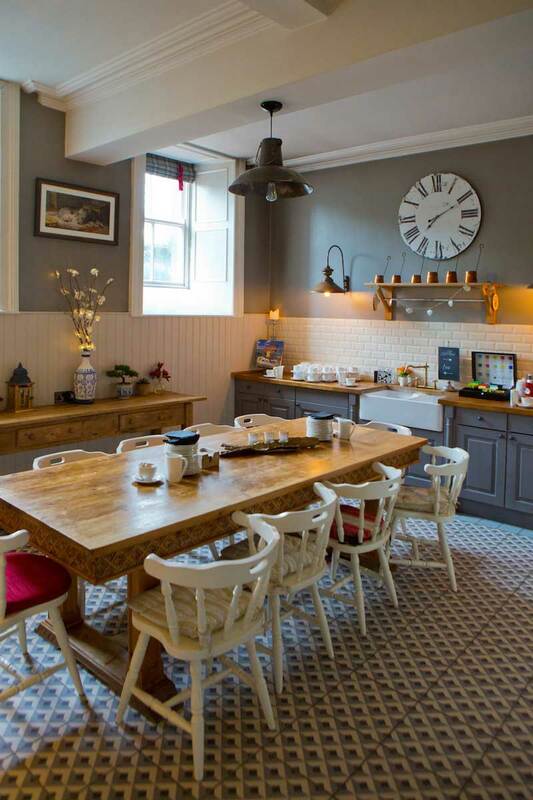 The Buttery is a very homely kitchen space so the entire lower floor really felt as if I was in someone’s private Country House rather than a hotel. The Dining Room, Library and Drawing Rooms are all located on the ground floor allowing guests to wander off for quiet chats and gossip updates – essential at a wedding. 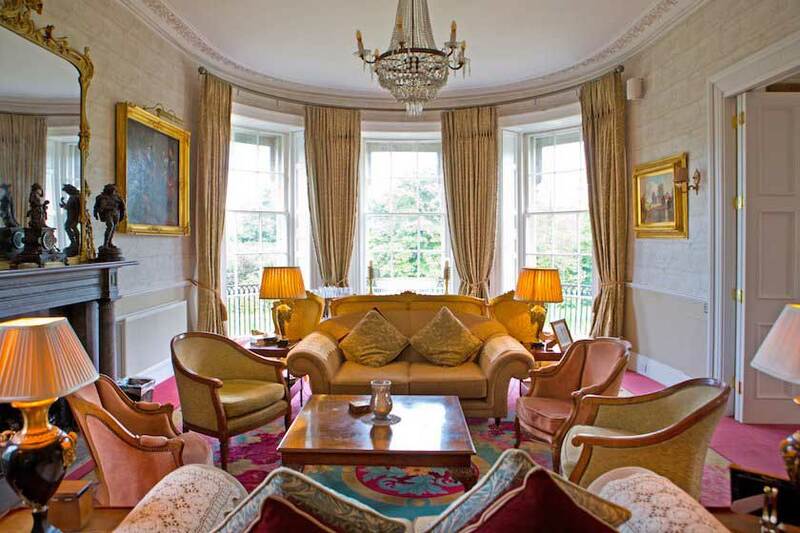 The Drawing Room is called ‘The Napper Tandy’ after a famous Irish revolutionary from the late 18th century who had a connection with Bellingham Castle through his niece. These rooms are not fussed and over frilled so the whole atmosphere and ambiance is that of a really comfortable and lived in Big House. So many wedding venues now are over the top and almost a surreal version of Disneyland. Weddings should be memorable as well as enjoyable. 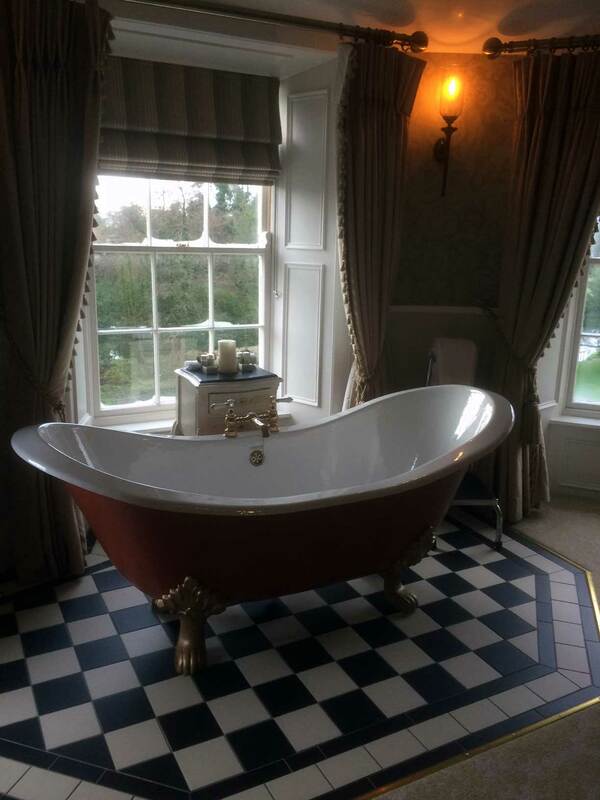 Bellingham Castle certainly delivers this with understated glamour and a confident and professional staff who know how to look after their guests.